Good Choice Reading: BlogFest 2011!!!! Thank you for stopping by Good Choice Reading! 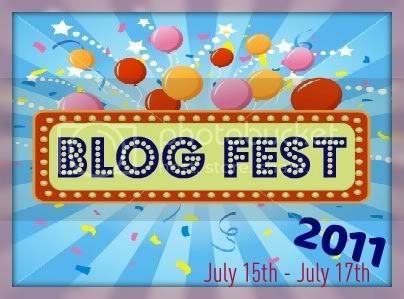 Blog Fest 2011 is finally here!!! We will make our stop fast and simply since we know you have about another hundred blogs to visit :-). Three for YA Batch and three for ADULT Batch. Each winner gets their choice of THREE books. You may enter both batches, but only win ONE batch. To enter this giveaway it's simple, you just need to be a follower and fill out the form below. If you are outside the US and wouldn't mind paying for your own postage, feel free to enter. Now go check out the next couple of blogs in BLOGFEST!! NOTE: Good Choice Reading will be doing the Cover Reveal today, 7/15 for Lee Nichols "Surrender" at 3pm! Stop by again at 3 PM to check it out! Lee Nichols will also be giving away all three books in her Emma Haunting Series ALL SIGNED to one lucky person! Thank you so much for the giveaway! :) Hope ya'll have a great weekend! Great giveaway, I love choices! Thanks for the opportunity to win.GFC follower under Lucky47. I'd love to enter the Adult giveaway. Wow, thank you for the very generous giveaway! I love this giveaway, I've been dying for half of these books. Thank you so much! Can you comment on more than one giveaway <-in the form I only included one plus one, but I commented more than that.